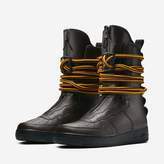 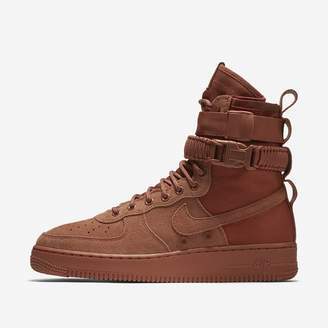 URBAN UTILITY The military-inspired Nike SF Air Force 1 High Men's Boot is built for ultimate urban utility. 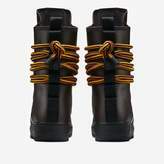 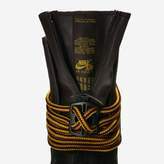 It features a quick-cinch closure system and bold design elements like rope lacing and reflective details. 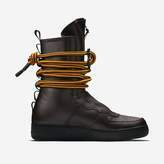 VERSATILITY Rope laces, lace loops and a metal lace lock work together as a dynamic closure system. 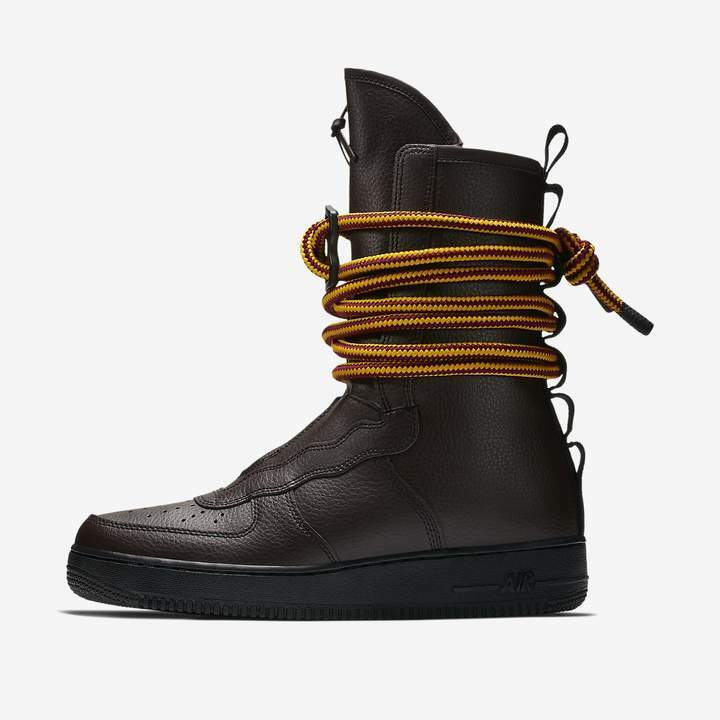 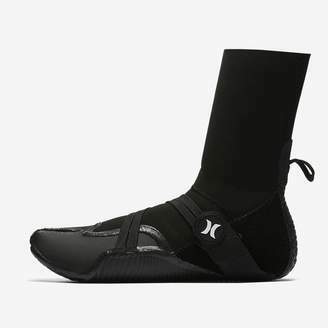 This gives you a variety of ways to wear and secure your shoe. 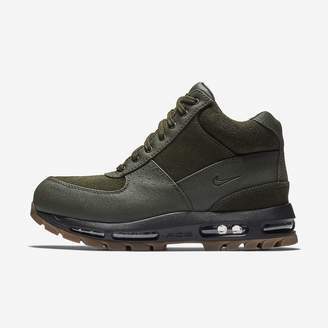 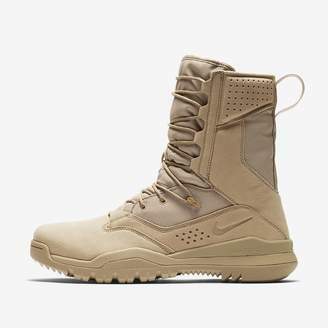 DURABLE MATERIALS Premium leather overlays make the shoe durable and flexible and give it a look inspired by military field boots. 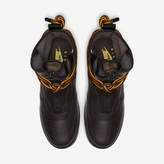 MORE DETAILS Reflective details helps you stand out Front zipper and heel pull tab for easy on and off Foam midsole with Nike Air cushioning for comfort Rubber outsole for traction and durability Shown: Baroque Brown/Yellow Ochre/Team Red/Black Style: AA1128-204 Air Force 1 Origins This once hoops shoe was named after Air Force One—the aircraft that carries the U.S. President. 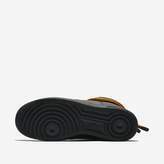 In 1982, it was the first basketball shoe to house Nike Air, revolutionizing the game while rapidly gaining traction around the world, from the hardwood, to the blacktop, to the core of hip-hop culture. 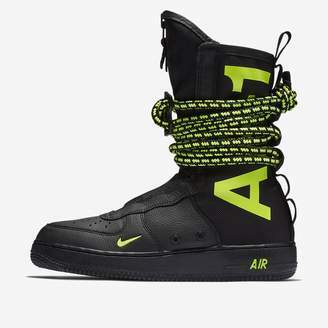 Today, the Air Force 1 stays true to its roots with soft, springy cushioning, but the Nike Air technology takes a backseat to the shoe’s status as an icon. 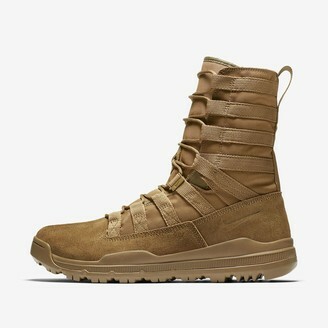 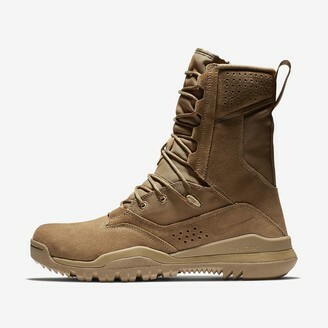 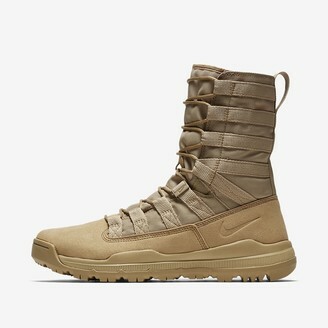 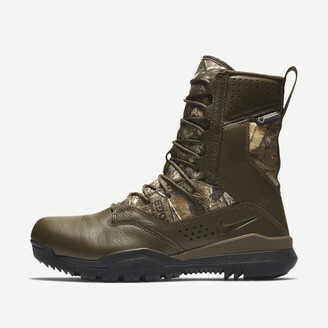 Nike Tactical Boot SFB Field 2 8"
Nike Tactical Boot SFB Gen 2 8"